MS Swaminathan tweeted that in the long term, loan waiver does not provide secure credit system as this would lead to inadequate funds for agri-infrastructure development. MS Swaminathan said loan waivers though temporarily needed, don't give secure long-term credit system. 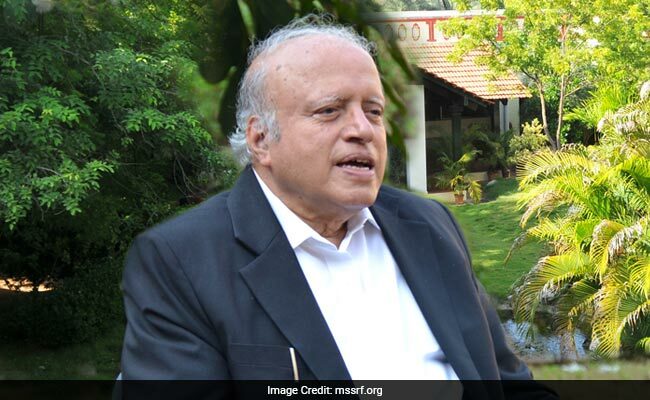 New Delhi: Farm loan waiver is necessary in the short term as farmers are unable repay debts due to fall in agri-prices despite a bumper crop, renowned agriculture scientist MS Swaminathan said on Tuesday. However in the long term, loan waiver does not provide secure credit system as this would lead to inadequate funds for agri-infrastructure development, he tweeted. Uttar Pradesh and Maharashtra governments have announced farm loan waivers, while farmers are demanding the same in Madhya Pradesh. "Loan waivers though temporarily necessary, don't provide secure long-term credit system. It implies that banks are compensated by government," Mr Swaminathan, who is known as Father of India's Green Revolution, said in series of tweets. Loan waiver means that there would not be adequate funds for strengthening agricultural infrastructure, he said. Due to the unfortunate erratic monsoon behaviour, farmers are facing problems of severe drought for the past few years. Though there is a bumper crop this year, farmers are "dissatisfied with procurement price and unable to repay institutional and private loans," he said. Without repaying debts, farmers will not get fresh kharif credit. This is why they want loan waivers as well as remunerative procurement price, he observed. Praising the government for farm initiatives, Mr Swaminathan tweeted, "The Modi Govt has implemented several Farmers’ Commission recommendations. These include providing improved seeds, soil health cards." The government has implemented the recommendation on providing improved crop insurance, increase in irrigated area and adding the words 'farmer’s welfare' to the name of Ministry of Agriculture. The commission, which he chaired in 2004, had also recommended non-farm initiatives with agri-enterprises along with MNREGA - the Central scheme for rural employment - for social protection to landless farmers. The government has made special efforts to promote rural women, who contribute 50 per cent agri workforce, by providing them skills through agri universities and private sector, he added.